Anyone who knows me, knows I love my yellow kitchen. I love the color. 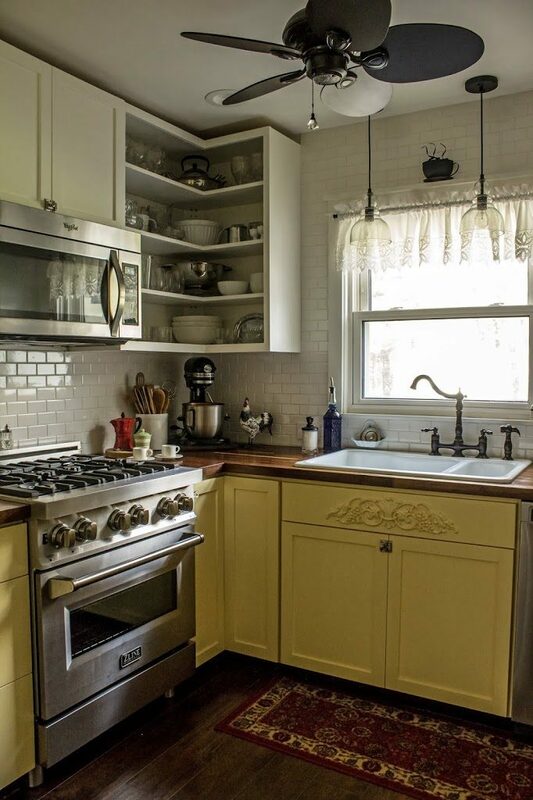 I love the butcher block countertops. 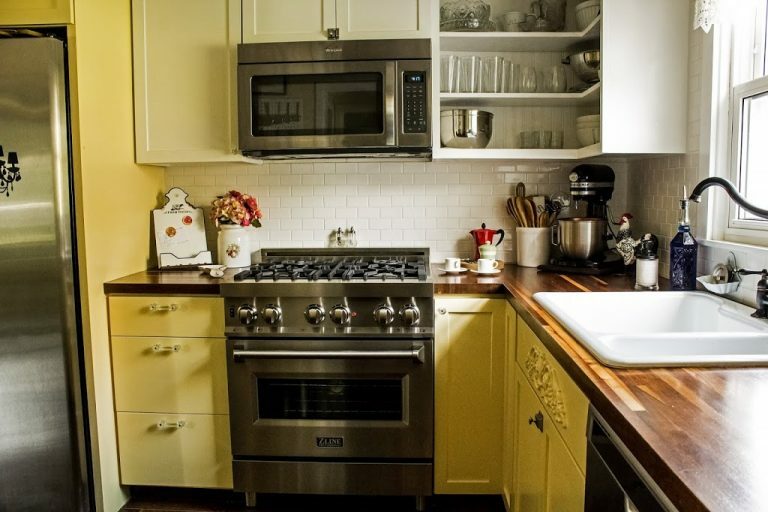 Recently, my yellow kitchen got a major upgrade when I got a new professional style stove. Needless to say, but I’ll say it anyway. I love my kitchen even more now! I was actually kind of surprised by how different it made the kitchen look. It really upped the wow factor of my little kitchen. I’ll share a secret with you. I’ve always longed for one of those professional style ranges that grace the glossy pages of design magazines and websites. Yes, I was a little green with envy when I looked at kitchens that had them. Who wouldn’t be? They’re gorgeous! Not to mention a major upgrade from a standard stove. How I imagine myself with a professional style range. I always thought if I had a stove like those beauties in the magazines that I’d be able to cook like a pro. I know, I know… It doesn’t work that way. 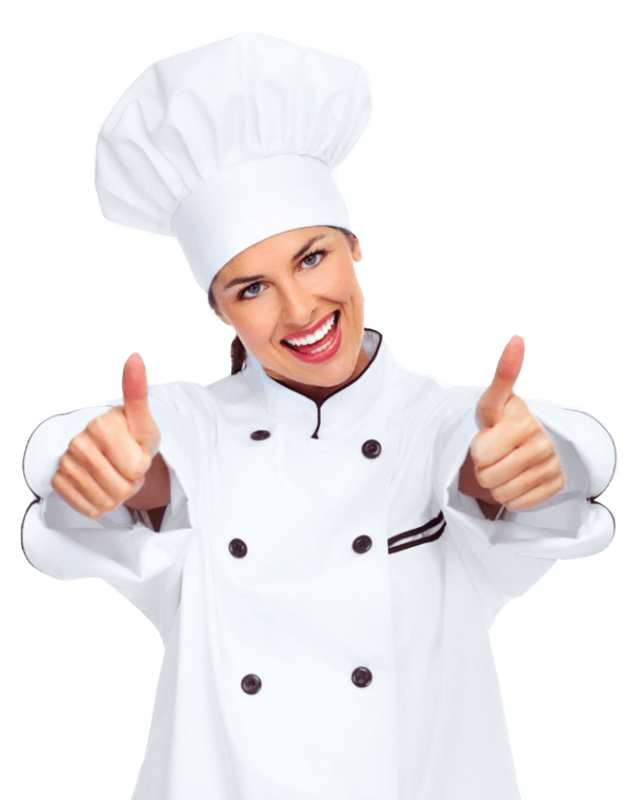 Once I got mine, I found out a professional style stove doesn’t make me a professional chef, but it does kind of sorta make me kind of feel like one. And I’m good with that. When I was doing my research, I thought about getting one in a really cool color like red or emerald green. In the end, even though I loved the gorgeous colors, I decided to stick with sleek stainless steel and not make the oven a design statement in my kitchen. If my kitchen were bigger, I might have gone with something more colorful and daring. But my kitchen is small, and I already have a china cabinet that steals the show in the kitchen. Two showstoppers would be too much. 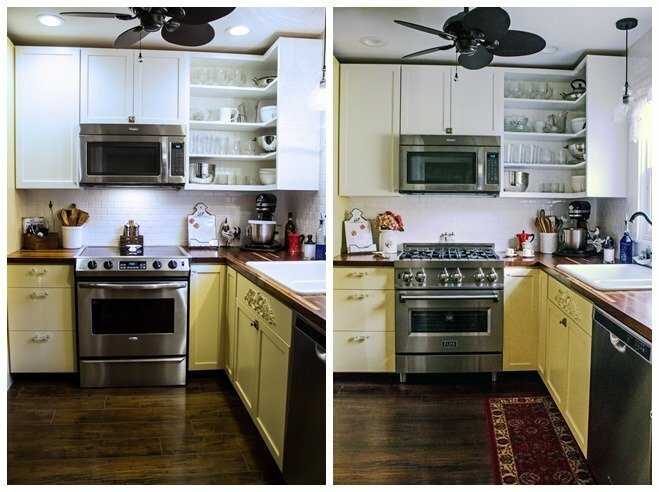 Since I opted for stainless steel, I didn’t expect the look of my kitchen to really change. I mean, how much of a difference can a new stove make when it’s the same color as the old one? Turns out, it can make a LOT of difference. I know it’s just my imagination, but to me, it makes the kitchen look bigger. I think it’s because everything lines up. Especially at the bottom. Take a look. The legs lift the stove up aligning the bottom of the stove with the bottom of the cabinets creating an uninterrupted line. In the middle, the top of the oven door is even with the bottom of the top drawer. And above the knobs, the underside of the ledge lines up with the bottom of the countertop. 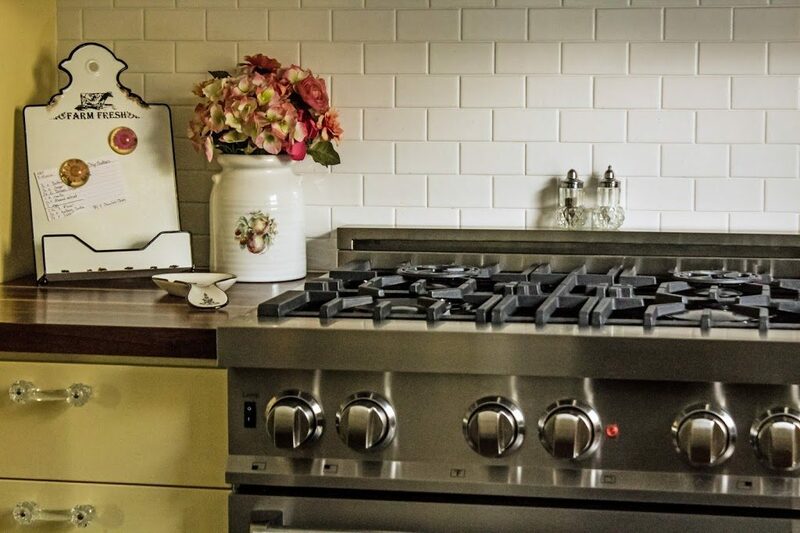 You know what they say… “Horizontal stripes make you look larger.” Must be true with stoves too. Okay… Onto the fun part. 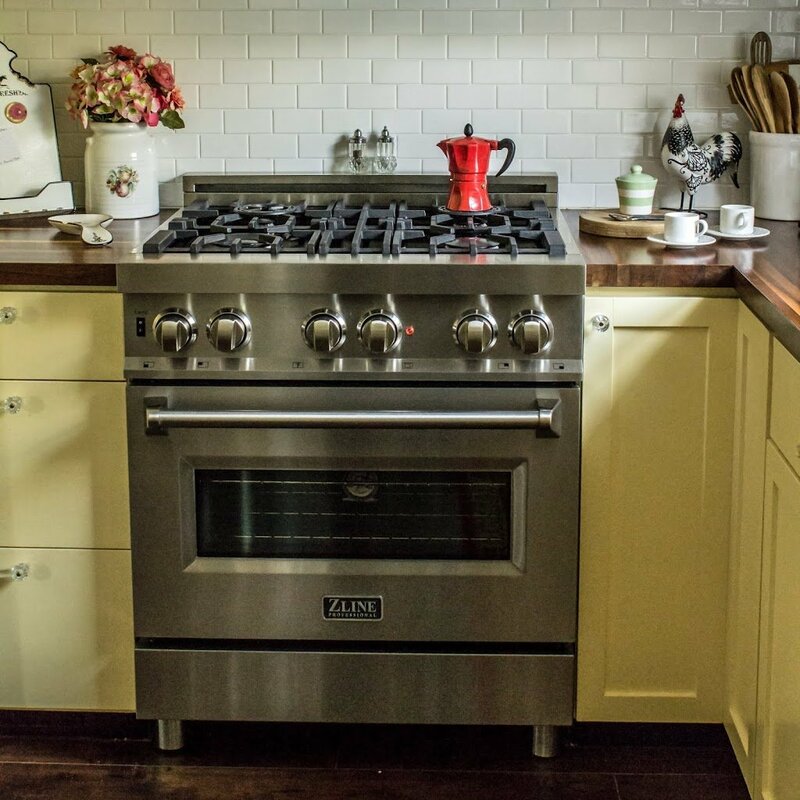 I want to show you the things I love about this stove! A thing of beauty. Almost a work of art. So clean and sophisticated looking. First of all… Look at it! It almost like a work of art. It’s so pretty! 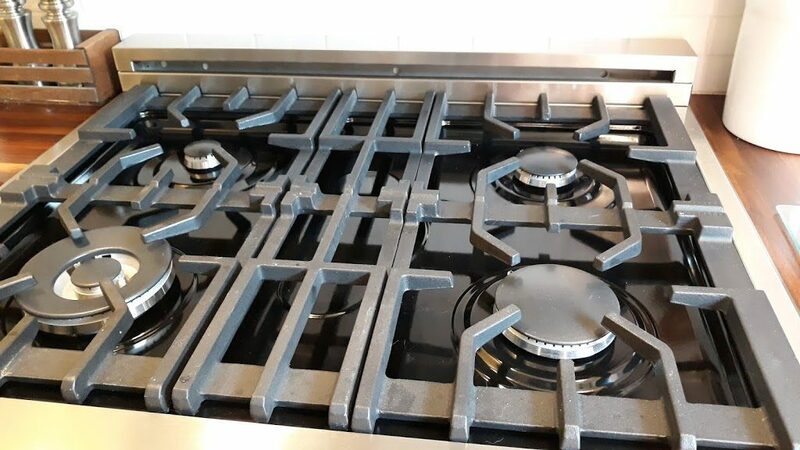 Big knobs, large oven handle, heavy grates. This thing is solid, and I just love the look of it. One thing I thought I’d miss, that I don’t, is a storage drawer under the oven. See that stainless steel thing under the oven door that looks like a drawer. NOT a drawer. It’s a false front that hides, I don’t know, parts or something. Anyway, I thought I’d miss the storage, but I don’t miss it at all. Turns out I didn’t actually use the items I stored in there as much as I thought I did. The electric convection oven is a dream to bake in. Did I mention this range is a dual-fuel range? The next thing I love is the oven! I love to bake, and I’ve never been so excited about an oven in my entire life. The oven door is glass inside!!! It is so easy to clean! The rails the racks are on make sliding the racks really easy. And look at the back–not one, but two convection oven fans. Absolutely no uneven baking. Seriously, I could go on and on about the inside of this oven. It only has 4 burners, but since there’s just the two of us that’s fine. I love cooking on gas. Finally, the stove. I’ve been cooking on an electric stove for so long, I forgot what a dream it is to cook on a gas stove. The grates are heavy cast iron and the burners are Italian made. I will say, Jim uses the stove more than I do, so he probably appreciates that more than I do. I’m more of a baker, even though I do like to cook. Like I said earlier, the knobs are HUGE, which is really nice. They’re so easy to turn, and because of the ledge and the large oven door handle, they don’t accidentally turn on when you lean against it. That seemed to be a common complaint I read in reviews of other stoves. I’ll admit that’s really not something I had thought about until I read the reviews, but I can see where it would be problematic. The knobs are huge and easy to use. Not to mention, very professional looking. So there you have it. There are a lot more things I love about my new range, but I’ve gushed on about my new stove long enough. It’s always been a dream of mine to have a high quality, professional style stove, and there was a part of me that thought that kind of luxury would always be out of reach. Maybe because up until now, I’ve always had used stoves that came with where I was living or that were found on Craigslist, and there’s nothing wrong with that. My Craigslist stove was very nice looking, and I was happy with it for five years. Even though I was happy with my last stove, I still thought about how wonderful it would be to have a professional style stove. I knew that was what I really wanted, so I saved my money and did a lot of research looking for the perfect stove. After a lot of hard work, scrimping and saving, I was finally able to get the stove of my dreams. So, yeah, I’m kind of geeked about it. My kitchen makes me smile every time I walk into it. Not surprisingly, it’s changed the way I feel about my kitchen. I mean, since I designed my kitchen exactly the way I wanted it, it’s no wonder I’ve always loved my yellow kitchen, but the new stove has made me love it more. Now onto you! What’s the most expensive thing you’ve ever bought for your kitchen or home that made you love it even more than you did before? 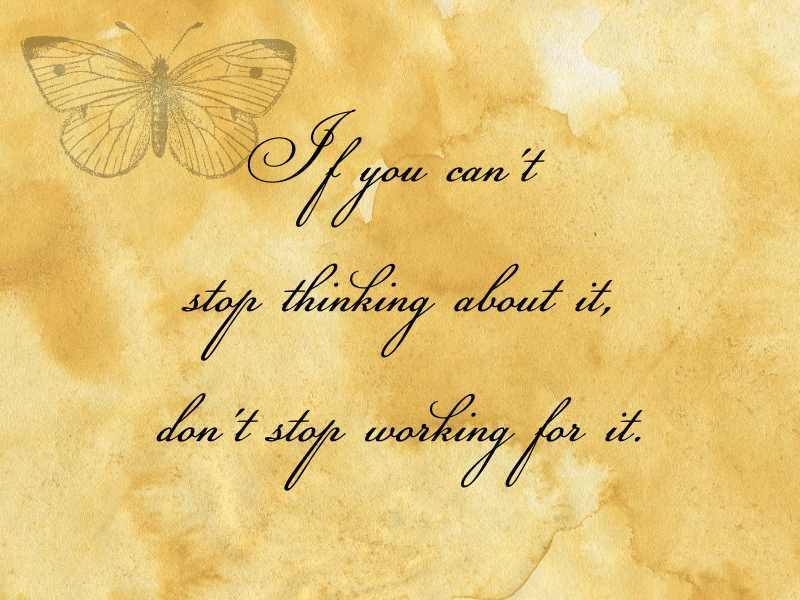 Or is there something you can’t stop thinking about that you know you just need to keep working for? I have always wanted more storage space in my home built in 1920. I would also love something similar to Loribeth's kitchen. It is warm and inviting, classic yet eclectic. I love it. I can help you with that. I'm great at finding easy affordable storage ideas. You're so sweet. Thank you! !